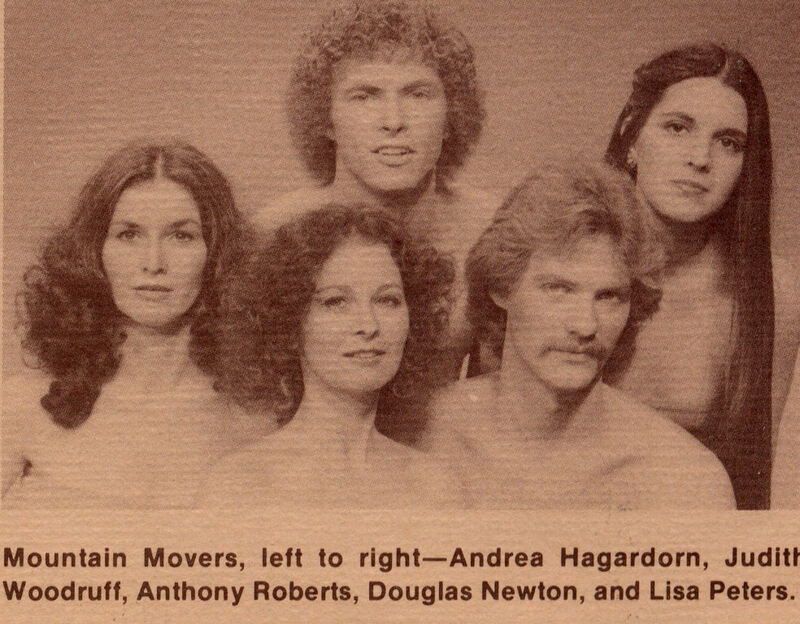 Mountain Movers Dance Company was founded in January, 1982 to promote modern dance in the Tri-Cities area. The original founders of the company were Doug Newton and Judith Woodruff. The two set the bar high, creating cutting edge work, performing widely, encouraging all members to choreograph,and securing many grants for over a decade. Following Doug's death, Judy kept the company going until 2009, when she turned the name and future of MMDC over to the company’s current director, Jennifer Kintner. Judy Woodruff studied Modern dance, tap and Ballet extensively in her 20's, particularly through the master class programs available at Middlebury College in Vermont. Judy also studied Laban Movement Analysis through the Bill Evans Summer Institute of Dance. She holds a BA in History of Art from the University of Michigan at Ann Arbor, and an MA in Physical Education from ETSU. Judy served with the Tennessee Association of Dance as Executive Director for 17 years, helping to write state policy on dance education in schools, and producing annual state-wide dance conferences where dancers could train with some of the best dance instructors from a wide variety of disciplines. Judy brought a rigorous demand for strong technique to her work with MMDC over the years, teaching classes that current members still remember with a smile and by jumping up to show you the combination! Judy was a compassionate but determined leader of a company with an ever-evolving and rotating roster of members. Running a community-based, volunteer company is a challenge, requiring tact, discipline, strong organizational skills, and a boundless supply of hope and good cheer. By 2009, when Jen took over directorship from Judy, the company was enfolded strongly into the budding Dance Minor program at ETSU under the Division of Theatre and Dance, and fully supported by Cara Harker, faculty member for Dance at ETSU. The company serves two purposes: to provide a home for the adult dancer in the Tri-cities area, remaining open to community dancers as it has since its inception. The company also serves as a training ground for ETSU students. All members train in a Bartinieff-based style of modern dance technique, and the company also offers members training in ballet and aerial dance. Greeting from Jen Kintner, the director of MMDC. I took over this role from Judy Woodruff in August of 2009, when Judy and Mike retired to Florida, where as Judy says, she is off on the next great adventure. I joined the company during its brief hiatus from active work in the summer of 2004. Judy and I started by teaching each other class, working on phrases and material from the company's past, and quickly grew to trust and enjoy each other's company greatly. We began rebuilding the company slowly, and then through a series of wildly improbable events, found ourselves at the forefront of the new, budding Dance Minor program under the Division of Theatre and Dance and Cara Harker, at ETSU. Cara has become the very soul of generous, enthusiastic support for the company, encouraging us to continue to create new and independent work, and putting us at the heart of the annual ETSU dance concert. Cara and I have also begun to integrate aerial dance into the repertory of both company and ETSU dance classes and performances. My own mission for the company is tri-fold. First, I believe in the process. All members attend class. My infamous quip is that we pay with our buttocks- get your rear end in a class twice a week, or forget being in a piece or in a show! The company is built on the discipline of daily technique class, aerobic training, rehearsals, and also caring for each other; watching, listening, responding. So the first mission is to create a real COMPANY, with classes offered up to 6 times a week, regular rehearsals, and a sense of community. The second mission is to bring in guest artists, and to cultivate an atmosphere in which dancers can really grow. Each dancer has a different dream, a unique path to follow, and I try to listen with every cell in my body to sense what our members need in order to be nurtured and develop fully as artists. The third mission is to provide ETSU students with a rich environment to jump start them into careers in dance, or in any field, with a greater understanding of the expressive power of their body, mind and spirit acting in union. So our path is....community, developing work, growing as artists, and then spilling all of that out into passionate performance, teaching and life! Photography by Larry Smith. Web design by Craig Lewis.